The 2019 salmon season was officially opened on the River Dee yesterday when rugby heavyweight Rob Wainwright took up his fishing tackle and successfully made the first cast. 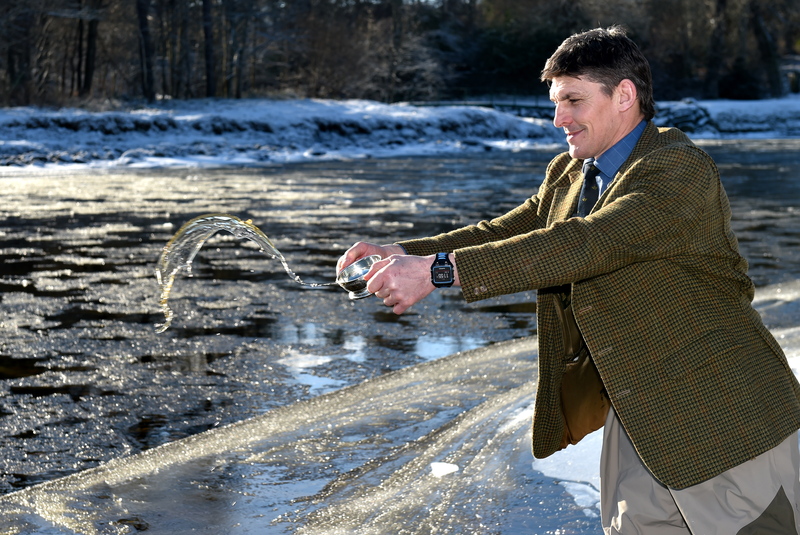 Hundreds of onlookers lined the riverbank by Banchory Lodge Hotel with glasses charged, ready to toast the River and launch the 2019 season. Mr Wainwright, a keen angler, said that since moving to the Hebrides, he didn’t “get much” salmon fishing, but instead enjoyed trout and sea-fishing. The former Scotland captain said: “It’s great to be here on such a beautiful day – it’s fantastic to see such huge support for the sport. Rob Wainwright making the first cast on the River to mark the start of the salmon season. Mr Wainwright traditionally toasted the river – and cast the first line into the icy waters – to the huge applause of the crowd. Yesterday, Italian Luca Meozzi returned triumphantly to Deeside to collect his prize for catching the biggest salmon on the river in 2018. Mr Meozzi owns a fishing tackle shop in Castiglioncello on the Ligurian coast and landed the mammoth 29lb fish on his first trip to Scotland last year. He said he was “very happy” to have caught his first salmon and added: “This has made my dreams a reality – being here is a great honour. I have caught many fish of many species. But since I was a child, I have dreamed of catching a salmon. “I had only been fishing for about an hour when something on the other end of my line pulled me very hard and, after an hour of fighting, I caught the beautiful salmon. Discussing the level of salmon numbers recorded, Dee River director Lorraine Hawkins admitted there was “deep concern” about the “dramatic declines” of one of Scotland’s most iconic species. 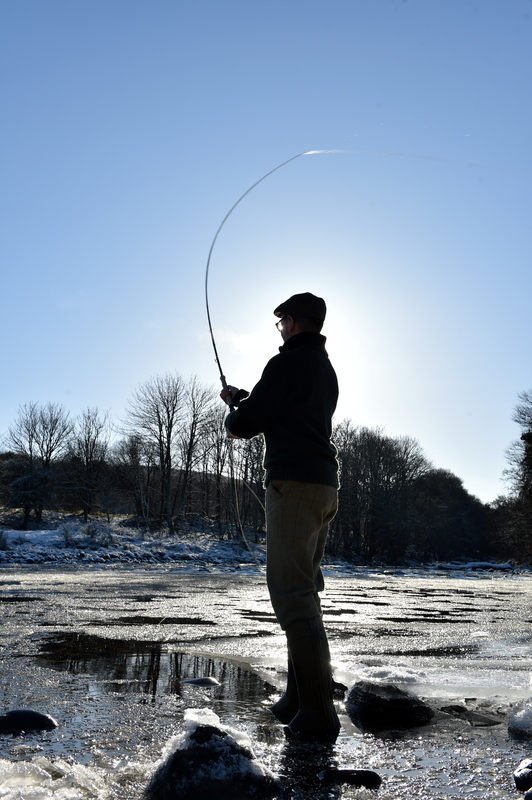 Opening of the fishing season on the River Dee at Banchory Lodge Hotel. She added: “Our research on predation in the Dee could help explain similar losses of young salmon from rivers around the country. Looking forward to the Six Nations Championship which begins for Scotland today with a home match against Italy, Mr Wainwright insisted the tournament was “wide open”. He added: “We are a very powerful force at home – so we should make a winning start – which we have seldom done in the last two decades. “It’s wonderful that realistically, any one of five teams could win this year – that hasn’t been the case for a while.